Okay I admit it. 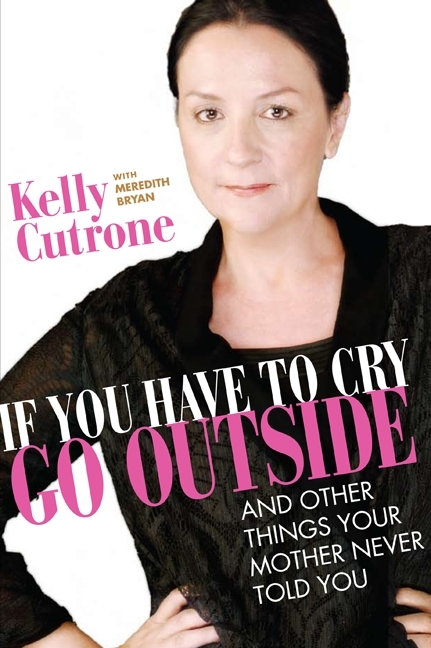 Before I came across this book I’d never heard of Kelly Cutrone. You too? Well she’s a reasonably famous (been on TV etc) fashion publicist in New York with some pretty ballsy views! As with a few of my other reads, it’s not entirely marketing based – but it is about women killing it in their careers – in a good way. And I’m always a sucker for a unique career book. Warning: to those who don’t like spiritual books. She talks a lot about the goddess, the universe etc. so if that isn’t your thing I’d steer clear. 2. The title of the book is literal. Crying = outside. When my employees make a mistake, I want them to fix the problem as quickly as possible and move on. The last thing I or any other boss wants to hear is, “Wahhhh, I was just trying to be helpful, wahhhh!” That’s why I officially banished crying to the sidewalk outside.